From 6-8 November, IP Key China cooperated with the DG TAXUD and the Hong Kong Customs & Excise Department in the organisation of a working group meeting in Hong Kong. Customs officers from 7 EU Member States (Spain, Sweden, UK, Germany, the Netherlands, Belgium and Italy) together with the Officers from the Hong Kong Customs & Excise Department participated in this activity. 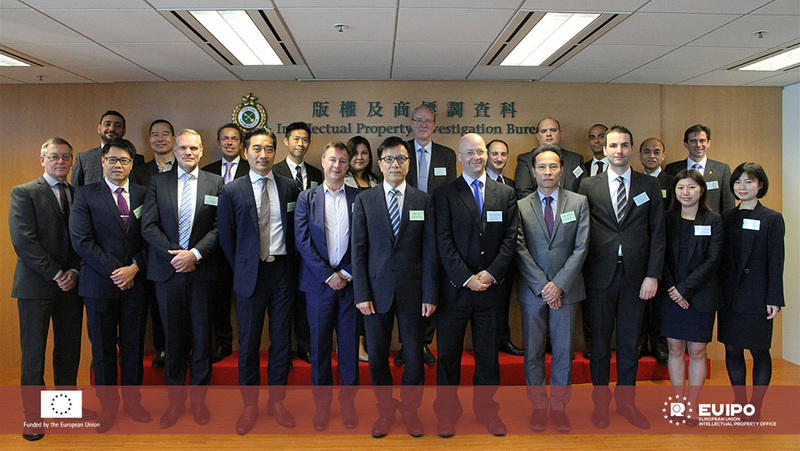 Representatives of IP Key China, DG TAXUD, the French Embassy in China, and the Office of the European Union to Hong Kong and Macao also attended and presented their practical experience on the cooperation with customs and other law enforcement organisations. The working meetings consisted of an expert meeting on the first day where the participants exchanged their knowledge on risk assessment methodology and control approach, as well as addressed other issues under the EU-HK Action Plan on Cooperation in Customs Enforcement of IPR which was signed on 27 April 2015. Following the meeting, a 2-days visit was organised to the Hong Kong sea mode cargo clearance, express cargo clearance, airport for postal and air cargo clearance for the EU customs officers to better understand Hong Kong customs risk assessment methods and policy and exchange their knowledge.